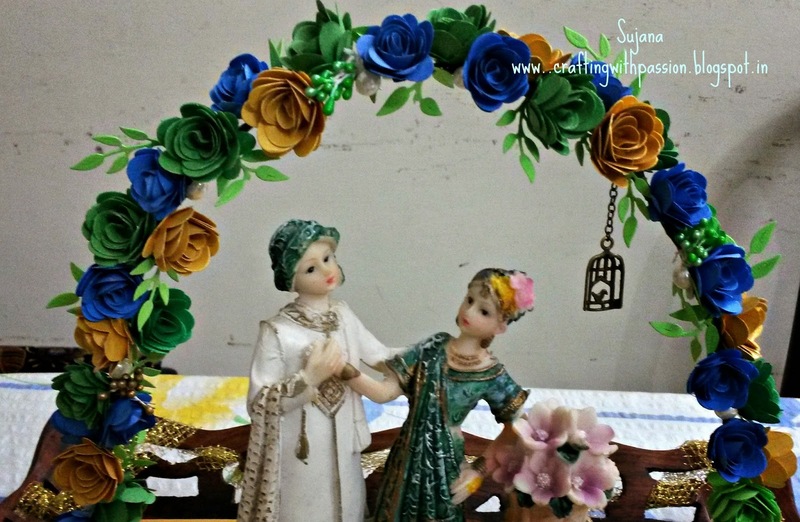 Crafting With Passion: Floral Arch!! A quick post again today. Ill be sharing many projects which i missed sharing here. I wonder if many would have heard about 'Aarathi plates'. Its a tamil custom during the wedding. We welcome the bridegroom just before wedding with these decorative plates and by applying tilak on his forehead. Its become fashion to decorate the plates according to a particular theme. The theme here was Peacock. I chose the peacock colours of blue, gree n and gold and made a floral arch with it. It sure was back breaking work. All the flowers are handmade using itsy bitsy daisy die. I had to make around 35-40 flowers to make an arch without any gaps. I also used cherry lynn olive branches for leaves and pearls and pollens as fillers. The base of the arch is done using metal strings usually used for flower making. Hope u liked it and thanks for all the New Year wishes everyone. Wish u all a happy crafty year ahead!!! WOw..Your hardwork shows in all those flowers Sujana ! 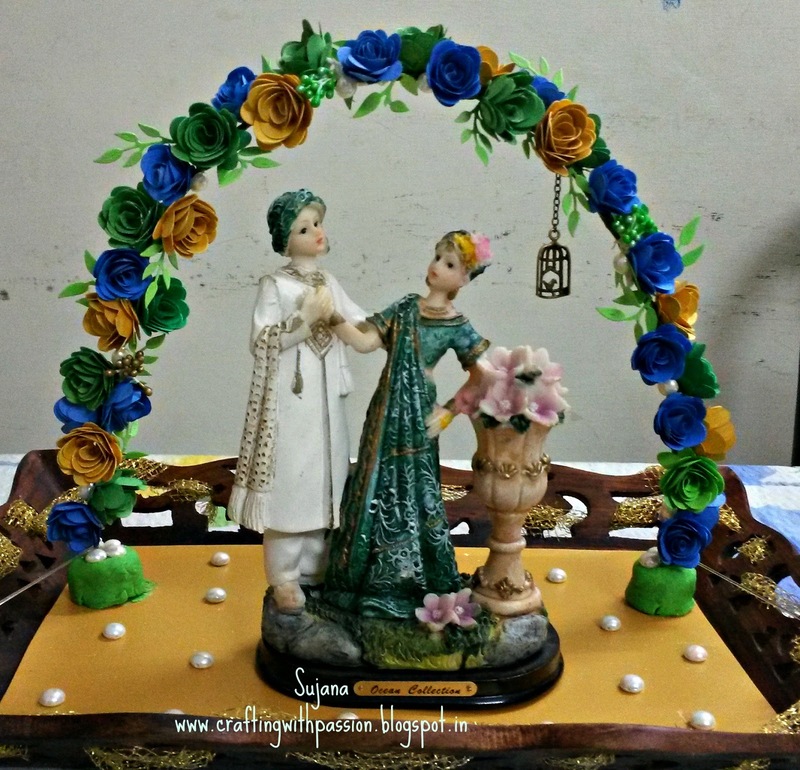 Happy New Year Sujana...Beautiful arch...i too have made an arch with satin flowers for an aarathi plate..